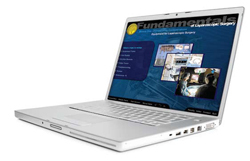 The FLS program is a comprehensive web-based educational module that includes a hands-on skills training component and validated assessment tool designed to teach the physiology, fundamental knowledge, and technical skills required in basic laparoscopic surgery. FLS is CME accredited. The FLS program covers a wide range of topics including techniques for safe entry into the peritoneal cavity, physiological changes associated with pneumoperitoneum and appropriate use of energy sources. Following study, you will be tested on your cognitive knowledge, technical skills and clinical judgment. The FLS laparoscopic trainer box allows you to practice your technical skills, improve dexterity and psychomotor skills. Why take the FLS exam? FLS is a validated education and assessment program that definitively quantifies a candidate’s cognitive knowledge and manual skills. FLS provides hands-on skills training to practice technical abilities and improve dexterity. FLS permits learning of minimally invasive techniques in a completely safe environment, without putting patients at risk. The FLS exam has been mandated by the American Board of Surgery for all graduating surgical residents beginning in the 2009-2010 academic year. Beginning September 1, 2011, upon successful completion of the FLS exam participants will receive 12 AMA PRA Category 1 credits. Instructions for submitting the CME forms will be included with the FLS exam certificate.